The strategy of releasing a new car every year is reaping rewards. McLaren is very different than its contemporary supercar makers. Ferrari, for instance, allows its models stay on the market for a while, but McLaren constantly replaces and refreshes its cars to keep them at the top of the competition. Clearly this strategy worked for McLaren in 2016, because the company nearly doubled its sales thanks to new models like the entry-level 570S. McLaren's strategy continues to work because the company just posted its second year of record sales in 2017. McLaren sold 3,340 cars in 2017, up from the 3,286 cars it sold in 2016. This is obviously a smaller increase than the 99.3% improvement from 2015 to 2016, but it is still an good sign. 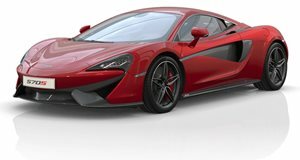 Around two thirds of McLaren's sales come from the Sport Series family, which includes models like the 540C, 570S and 570GT. Sport Series sales increased to 2,119 deliveries in 2017, up from 2,031 in 2016. The 720S also had a positive effect on sales after its reveal in March. 1,221 models from the McLaren Super Series found new homes, which is nearly the same as last year despite only having six months of 720S deliveries. With a full year of 720S sales in 2018, we wouldn't be surprised if McLaren sets another sales record next year. McLaren seems to be on a roll ever since announcing that it would be dividing its model lineup into three categories. The 570S started the Sport Series, the 720S replaced the 650S in the Super Series, and the track-focused Senna was just added to the Ultimate Series. 2018 is not projected to be a great year for car sales, but it seems like McLaren will buck that trend.